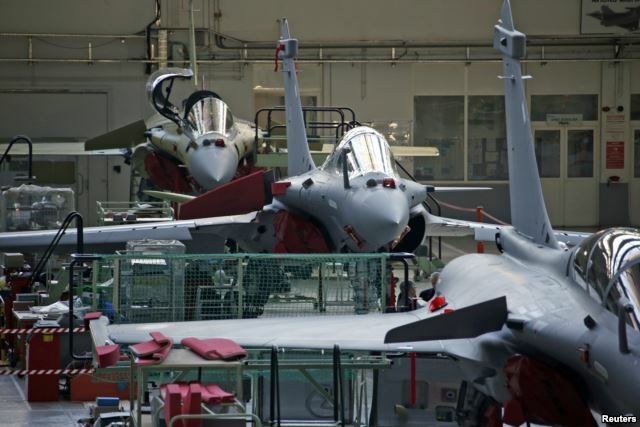 India's order of 36 French-made Rafale fighter jets has run into trouble with government officials struggling to agree sales terms, sources said, four months after Prime Minister Narendra Modi intervened to break a logjam in previous commercial negotiations. Two senior Indian defense officials told Reuters that both sides were wrangling over the unit price of the aircraft and a condition that planemaker Dassault Aviation invest a big percentage of the value of the multi-billion dollar contract in India. The problems threaten to further delay the modernization of India's ageing air force. Military officials have warned of a major capability gap opening up with rivals China and Pakistan without new Western warplanes or if local defense contractors cannot build what the military needs in a timely manner. 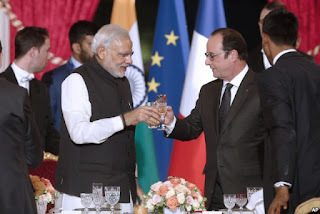 Modi and French President Francois Hollande announced the government-to-government deal for the sale of the off-the-shelf Rafale fighters on April 10. That followed three years of commercial negotiations with Dassault for 126 aircraft that stalled due to disagreements over assembling most of the aircraft in India. Citing India's urgent defense needs, Modi chose to deal directly with Paris for a smaller order, saying officials would work out the details. On May 16, Indian Defense Minister Manohar Parrikar told local media that negotiations over pricing would be finished in a "month or two." But those talks were bogged down over India's insistence on a lower price for the frontline warplanes than the roughly $200 million each that was discussed with Dassault during the commercial talks, said the two defense officials, who have been briefed on the new negotiations. Under the previous proposal, Dassault was to assemble 108 of the aircraft in India, a move New Delhi hoped would help boost a high-tech local aerospace industry. There is no production in India in the new arrangement. "Since there is no technology transfer, the price that was on the table during the commercial talks cannot stand," said one of the officials, who declined to be identified because he was not authorized to speak to the media. The Indian Defense Ministry said negotiators were in talks to produce a draft agreement, but declined to give details. Parrikar said last week that New Delhi had told Paris in April it wanted the jets as soon as possible. A Dassault spokesman declined to comment, as did the French defense procurement agency. The two Indian officials said another sticking point was New Delhi's standard requirement that arms makers invest a percentage of the value of any deal above $50 million in India. Such so-called offset policies are not unusual in the developing world, where Western defense firms have invested in local technology and jobs in return for sales. In this instance, India wants Dassault to invest at least 30 percent of the contract value in India through activities such as the sourcing of components for future French operations, the setting up of manufacturing facilities in India or by providing high-tech job training, the officials said. France has said it was ready to meet the offset obligations, but that it would take time to set up a vendor base in India for components for example and that this could push up the deal's cost, the first defense official said. "Unless this is waived at the highest levels, the Defense Ministry is proceeding on the basis that offset requirements have to be met," the official said. During the commercial negotiations, India had set the offset bar at 50 percent of the contract, the official added. "This issue has become bigger than the procurement," said Amit Cowshish, a former financial advisor on arms purchases to the Indian Defense Ministry, who has been tracking the negotiations. Complicating matters, the Indian Air Force (IAF) had asked for technical modifications so the latest weapons could be fitted to the jets, the second defense official said. Initial technical specifications, which were part of the commercial negotiations, were outlined a decade ago when India began the process of seeking new fighters. A French source familiar with the matter said differing priorities within India were delaying matters, with the air force focused on weaponry and the Defense Ministry on offsets. "All along the IAF has asked for more armaments than what Dassault has offered while the Indian administration has demanded offsets," the source said. The air force declined to comment, saying the deal was in the government's hands. The Rafale fighters are meant to fill a gap in an air force deployed for a two-front war against China and Pakistan. A domestic program to build a light combat aircraft to form the backbone of the air force is 19 years behind schedule, with the first plane due for final operational clearance in March 2016. Meanwhile, nearly 260 MiG 21 and MiG 27 Cold War-era fighter jets are due to be phased out in about eight years. 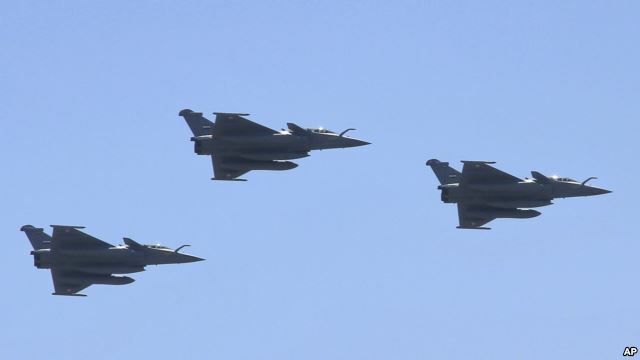 "Even with the entry of the Rafales, the air force has reconciled itself to depleted aircraft strength over the next decade," said retired air vice marshal Kapil Kak.